In an age of rising energy costs, climate change, and a desire to protect the environment, our houses are the perfect solution to your desire for a dream home that is sustainable and energy efficient. 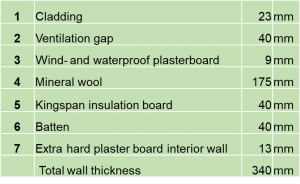 Many people have heard of Passivhaus, which is held to be the ideal standard for sustainability, however, they may not realise that you can achieve similar levels of air tightness and energy efficiency with our designs and come close to a passive level without the price tag. We use sustainably grown timber, sourced from around the factory, which owns and manages its own forestry and all offcuts are used to help kiln dry the timber and heat the buildings. Using wood for the structure locks up carbon within the building, keeping it there for the lifetime of your home. We minimise use of plastics and concrete and wherever possible use natural materials, to avoid damage to the environment. Wherever possible we also suggest using environmentally friendly finishing products such as paints and floor sealants when we build and complete your home and if you are finishing the house from a shell build, we let you know which products we prefer to use. The timber used for log houses is sustainably forested as all forestry in Finland is regulated by the Forest Act. Around 70 million cubic metres of timber is harvested annually and more trees are replanted than felled, though natural regeneration is encouraged for small stands to increase biodiversity. Timber absorbs carbon and locks it up during its life cycle, only releasing it at the end of its useful life. Often it can then be reused as woodchip for fuel, reducing the use of new timber. As log homes can last for several hundred years, carbon is locked in for an extended period. Using the above it is possible to calculate the average embodied energy and carbon in a typical house and it is necessary to realise that the largest quantities by weight of materials used are likely to be concrete and timber. **As timber is less dense than concrete, using timber to construct the shell is likely to result in less overall embodied carbon. The links below list more materials and give further clarification. Timber is naturally highly resistant to heat transfer and coupled with an insulation frame can achieve any level of energy efficiency up to passive standard. 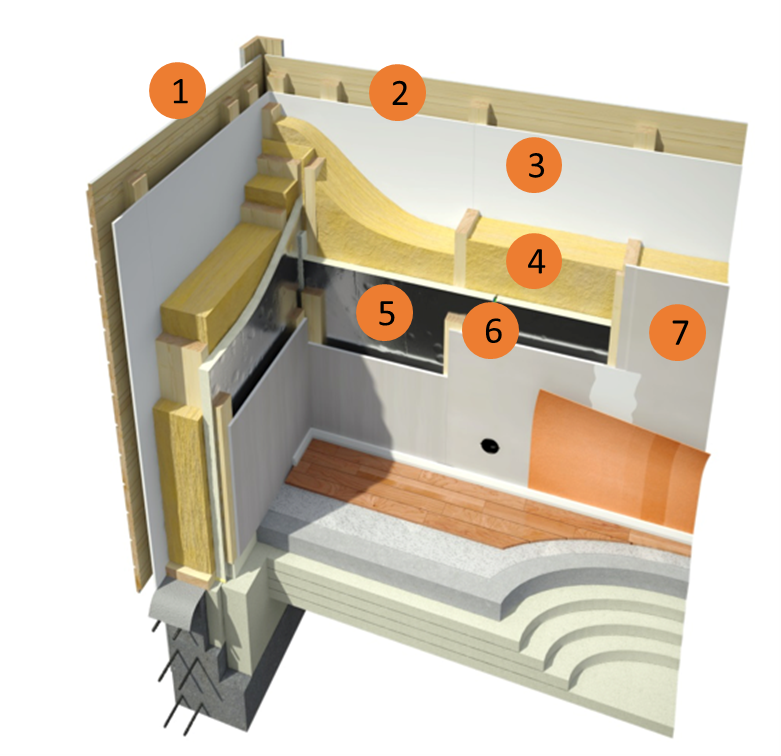 With standard logs of 88mm or 95mm and 195mm of insulation, a U value of 0.16 W/m2K is attained, exceeding UK building regulations. 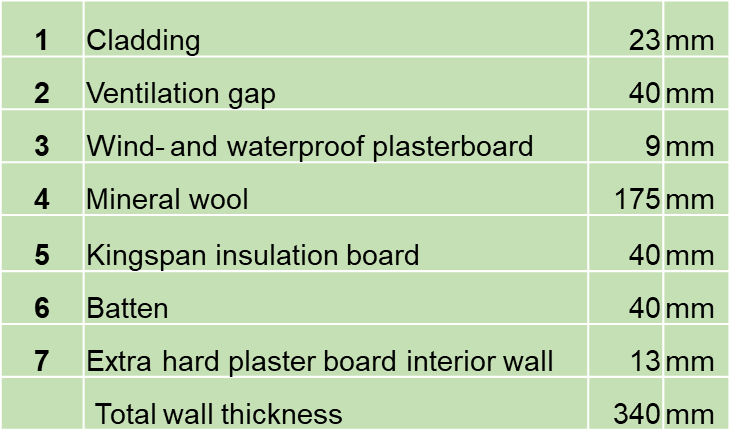 The more insulation included, the better the U value and this can be specified to attain the value required. Windows in Finnish homes are typically triple glazed with timber / aluminium frames and U value 0.9W/m2K. Doors are insulated and have a U value 1.0 W/m2K. Timber panelling does not suffer from condensation and is also known as a humidity regulator. It is also recognised that log houses create a healthy atmosphere to live in.